As I noted last week with Master of Kung Fu #126, one of the cool things about Marvel Legacy is this series of one-shots that pick up where previous series left off — at least in spirit. And the one I’ve been looking forward to the most is out 11/15 — Not Brand Echh #14. 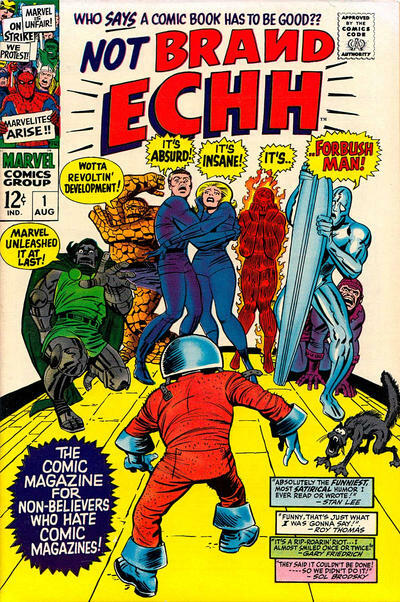 The original series, of course, ran 13 issues from 1967 to 1969, and featured lovingly savage satires of Marvel’s own characters — and those from “Brand Echh,” i.e. the Distinguished Competition. 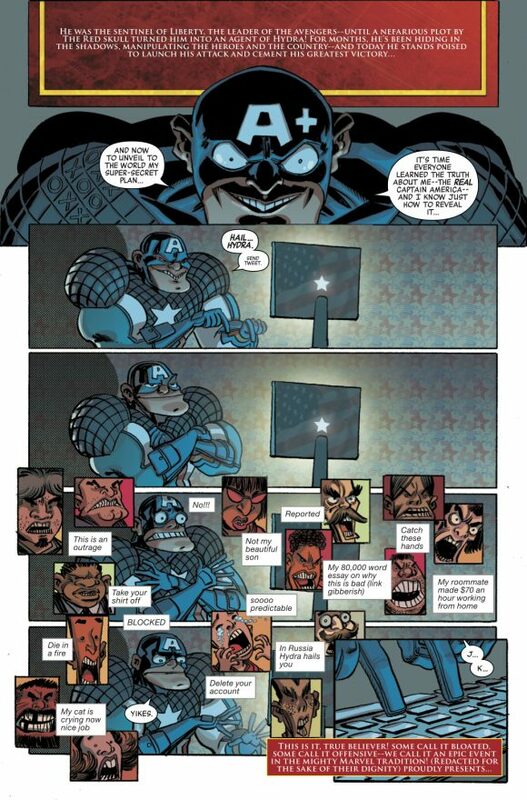 This time around, Marvel’s enlisted some of the best-known comedic talents in comics, including Chip Zdarsky, Katie Cook, Ryan North, Jay Fosgitt, Erica Henderson and many others, including Nick Spencer, who goes to town on his own Secret Empire. 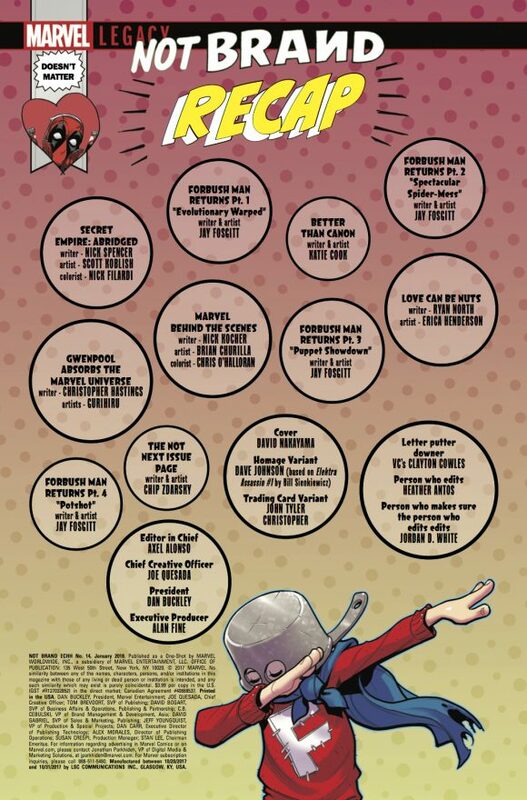 Just check out that table of contents below. 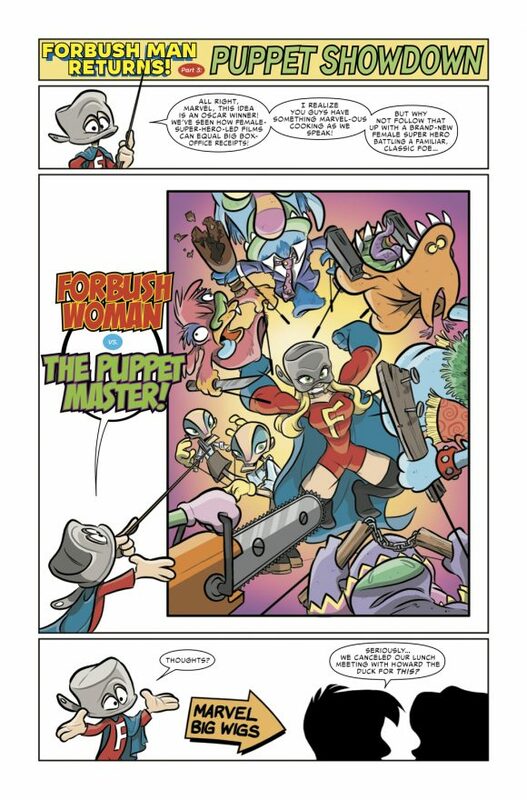 Anyway, it’s fun to have Forbush Man back. Maybe they can squeeze him into Infinity War now. Love it! 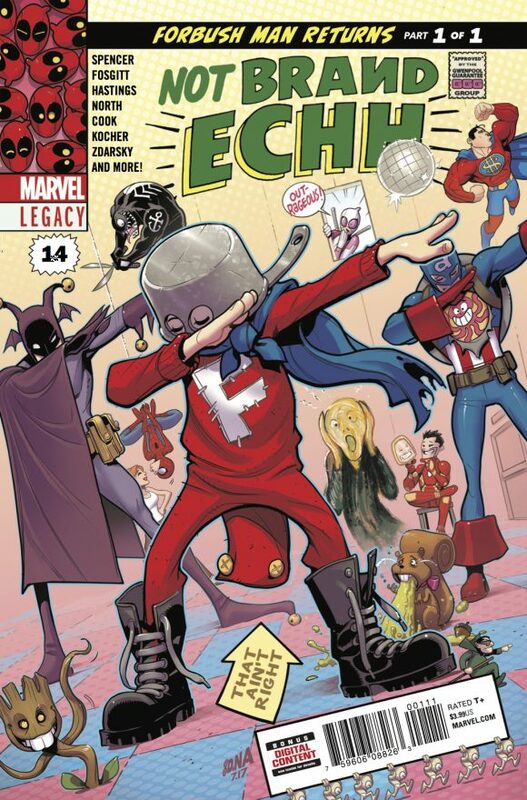 Forbush Man dabbing. 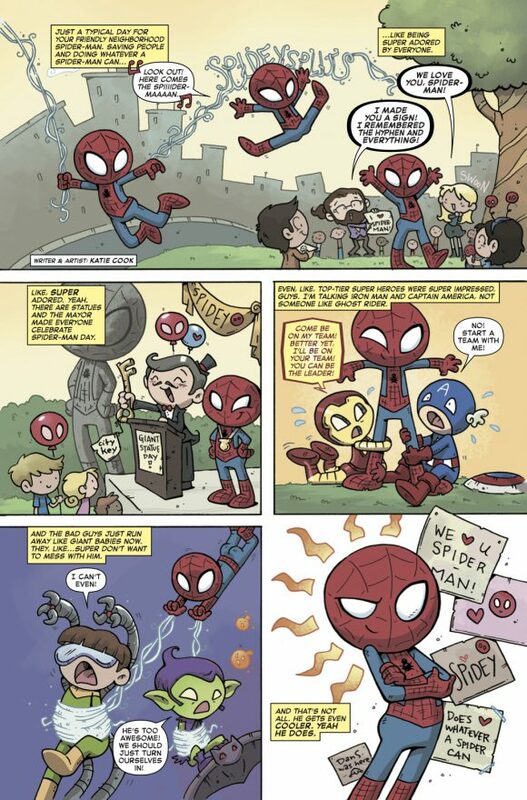 Marvel, you so hip!